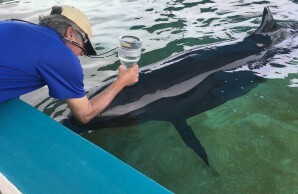 A researcher measures the lung function of a healthy false killer whale. 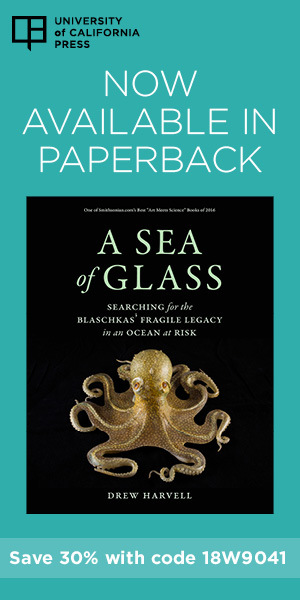 Daniel Garcia Párraga and Andreas Fahlman, of Fundación Oceanogràphic in Valencia, Spain, along with colleague Michael Moore, of Woods Hole Oceanographic Institution on Cape Cod, MA, developed their hypothesis by combining the results of previous research with theoretical modeling. In one study, they placed a deceased seal, dolphin, and domestic pig in a hyperbaric chamber that increased pressure to simulate dive conditions and used computed tomography (CT) images to observe the animals’ lung architecture. In these simulations, only part of the marine mammals’ lungs were compressed, while the rest remained inflated. The pig’s lungs, in contrast, did not share this distribution mechanism and were evenly ventilated. 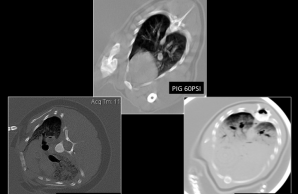 CT scans of lungs under high pressure shows gas distribution (dark areas) to be homogenous in pigs (center) but uneven in the common dolphin (left) and grey seal (right).